Recently at WWDC 2017, Apple has disclosed Apple MacBook Pro and iMac India prices for its different versions. So, place an order for the one that meets your budgets and needs! 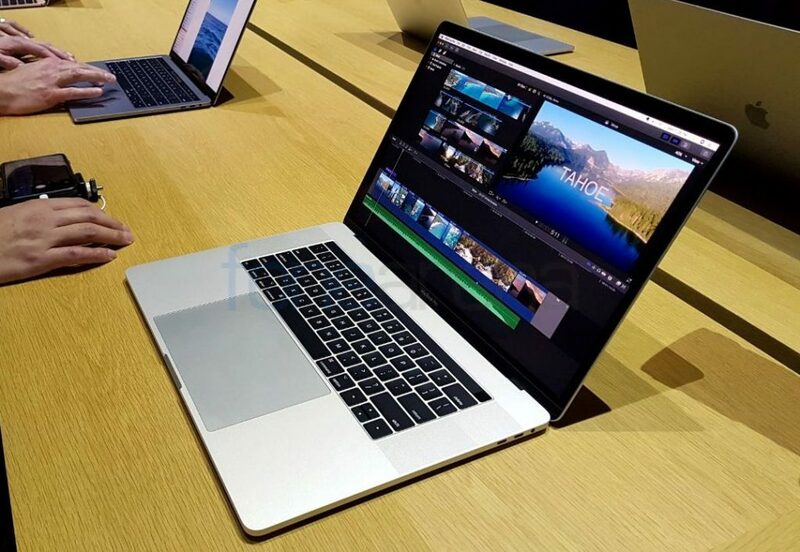 Apple has upgraded its MacBook Pro with steadier storage alternatives, more appealing retina displays, 7th-generation Kaby Lake processors, Thunderbolt 3, etc. Also, Apple Macbook Air will sport a 1.8GHz dual-core Intel Core i5 processor and 13-inch display. And finally, it has disclosed Apple MacBook Pro and iMac India prices. iMac accompanied with 21.5-inch Retina 4K Display has 3.0GHz quad-core Intel Core i5 processor with 2GB Radeon Pro 555 graphics. Sported with its 1TB hard drive and 8GB 2400MHz RAM, this beauty is priced at Rs. 1,07,900 only. The 27-inch iMac having a brighter Retina 5K Display, 3.4GHz quad-core Intel Core i5 processor along with 4GB Radeon Pro 570 graphics, 8GB 2400MHz RAM and 1TB Fusion drive can be availed at Rs. 1,48,900 only. iMac with 27-inch Retina 5K Display, having a storage space of 8GB 2400MHz RAM and 2TB Fusion drive, and powerful 3.8GHz quad-core Intel Core i5 processor with 8GB Radeon Pro 580 graphics will cost you Rs. 1,89,900 only. The price of 21.5-inch iMac that comes in Full HD display, 8GB 2133MHz RAM and 1TB hard drive, and 2.3GHz dual-core Intel Core i5 processor with Intel Iris Plus Graphics 640 is Rs. 90,900 only. 5-inch iMac along with Retina 4K Display, 3.4GHz quad-core Intel Core i5 processor with 4GB Radeon Pro 560 graphics, 8GB 2400MHz RAM and 1TB Fusion drive will cost buyers Rs. 1,24,900 only. iMac with 27-inch Retina 5K Display has 3.5GHz quad-core Intel Core i5 processor with 4GB Radeon Pro 575 graphics along with 1TB Fusion drive and 8GB 2400MHz RAM can be yours at Rs. 1,65,900 only. 13-inch MacBook Air with an 8GB 1600MHz LPDDR3 RAM, massive storage of 128GB, and 1.8GHz dual-core Intel Core i5 processor can be grabbed at Rs. 80,900 only. 12-inch Macbook with 8GB 1600MHz LPDDR3 RAM comes in two different versions. The first one that consists of 1.2GHz dual-core Intel Core m3 and has an SSD storage of 256GB is of Rs. 1,09,900, while the second version with 3GHz dual-core Intel Core i5 and 512GB storage capacity has a price of Rs. 1,34,900. 13-inch MacBook Pro 2017 with 8GB 2133MHz LPDDR3 RAM, 2.3GHz dual-core Intel Core i5 with Intel Iris Plus Graphics 640 has two different prices. The one with 128GB SSD will cost you Rs. 1,09,900, and if you want to go for a bigger 256GB SSD version, the price will be Rs. 1,26,900. The dual version of 13-inch MacBook Pro 2017 with 3.1GHz dual-core Intel Core i5 with Intel Iris Plus Graphics 650, Touch Bar, 8GB 2133MHz LPDDR3 RAM comes in 256GB and 512GB SSD. While the former costs you Rs. 1,54,900, the latter is priced at Rs. 1,71,900. 4-inch MacBook Pro 2017 packed with 2.8GHz quad-core Intel Core i7 with Intel HD Graphics 630 and 2GB Radeon Pro 555 GPU, Touch Bar, 16GB 2133MHz LPDDR3 RAM again has two different prices as per their storage capacities. The one with 256GB is priced at Rs. 2,05,900, while the price of second variation with 512GB is Rs. 2,39,900. We have thrown light on Apple MacBook Pro and iMac India prices, and now it’s your time to spend on at least one of your favorite Apple devices.